St. Luke’s Sen. Sec. 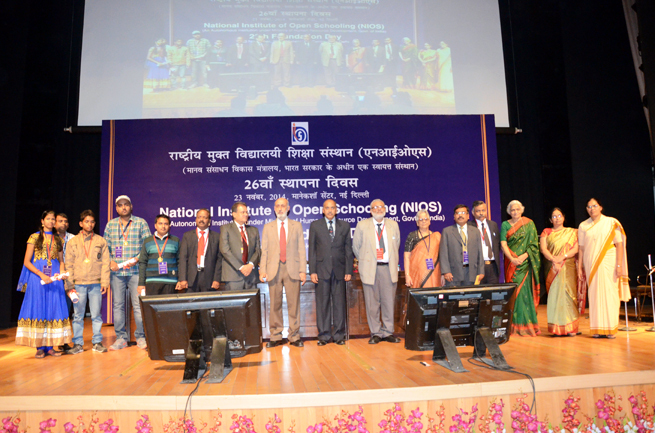 School, Solan, was conferred with the Mukta Vidya Award for the best Accredited Centre of National Institute of Open School for the year 2014. The Principal, Sr. Tara, who is also the coordinator of the NIOS Study Centre received the award from Mr. R. Bhattacharya, the Secretary, Ministry of Human Resource Development, Govt. 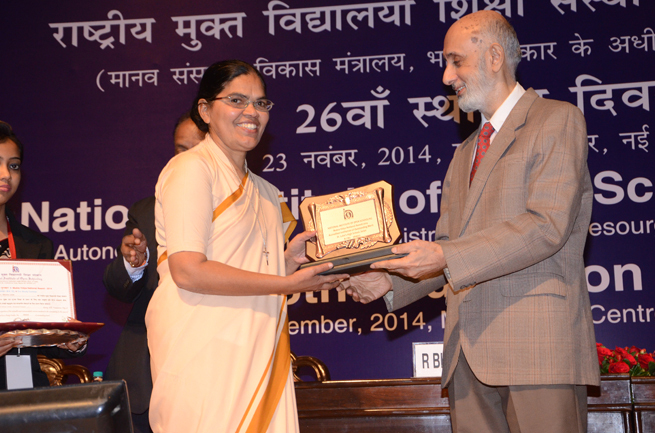 of India, in an impressive ceremony held at Mankenshaw Centre, New Delhi, on 23rd November 2014. Sr. Tara has taken the vision forward to a new level. It is her hard work and dedication that has inspired the NIOS Staff and Students to realize their true potential to reach the milestone. Thanks to NIOS that scores of young people have become a part of the main stream and are today contributing to the growth and development of the society.